The first beer in Hawkers' occasional Hop Series of IPAs featured a collection of recently developed German hops. For round two, they've focused on South Africa, in part because you hardly ever see beers brewed with South African hops and in part because the chances of seeing them in beers like this got even less likely after AB InBev allegedly strangled supply to small brewers after the merger with SABMiller. Hawkers managed to get their hands on a few varieties – Southern Star, Southern Dawn and African Queen – which were added to this beer and then shared with various homebrew clubs around the country so they could make their own beers to go head to head with this one at a series of events. 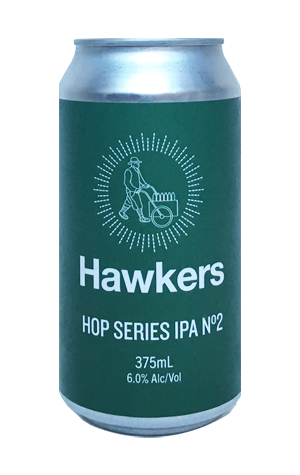 The Hawkers beer squeezes a fair amount of zesty orange juice character from the hops and, while that's the defining characteristic, there's something herbal lying beneath and a hop-derived spiciness that builds into a pretty grippy bitterness. It's a one-two punch reminiscent of a few other newly developed hops: the more "on trend" overtly fruity side and the herbal, spicy elements typical of older, traditional varieties.